Friends in Low Places – a 'peace' of my mind…. I wasn’t paying attention to the television that morning while I was getting dressed. But by the time I got to school, the students already had the television turned on and were watching the second plane crash into the World Trade Center. Hoards of people trying to get across bridges, away from lower Manhattan, in clouds of gray soot and debri. Where my friend, Ross, lived. Until the sixth grade I had been the smartest kid in the class. Or so Ross and I liked to joke. 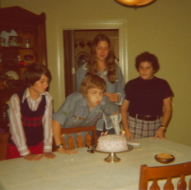 Ross was one of my three best junior high friends I invited to spend my 13th birthday with - here I am blowing out the candles on my cake in 1974 with Ross, left, Amy and John. That was the year Ross and his family moved from Kermit, Texas, and we wound up in the same class at Ben Franklin. But we didn’t become friends, really, until the next year. 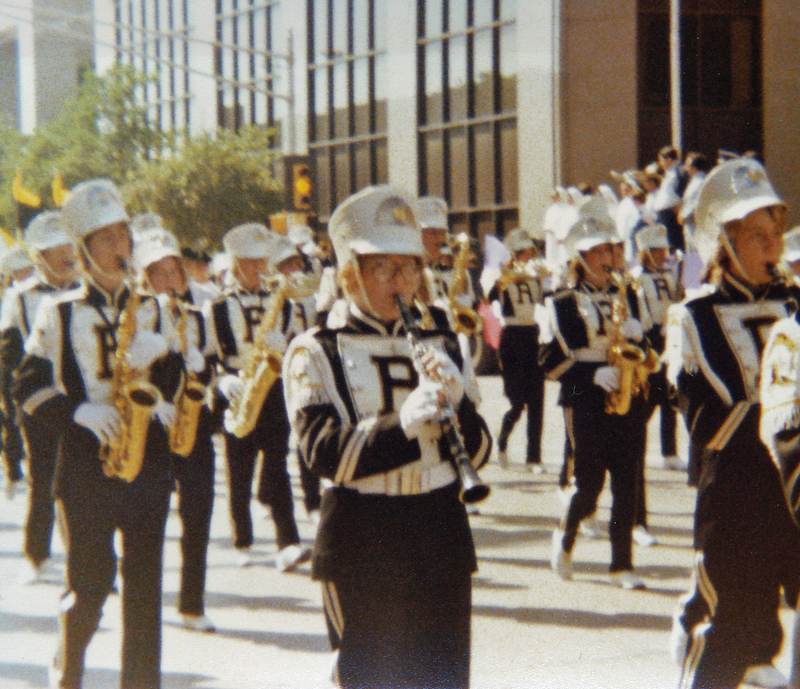 Pride of the Raiders Marching Band, circa 1977? That's me on the clarinet in front and Ross is right behind me on the saxophone. What ever possessed me to buy aviator frames? We spent six years playing in the band together. Riding band busses, with Ross spending a large portion of the time making out with his girlfriend. 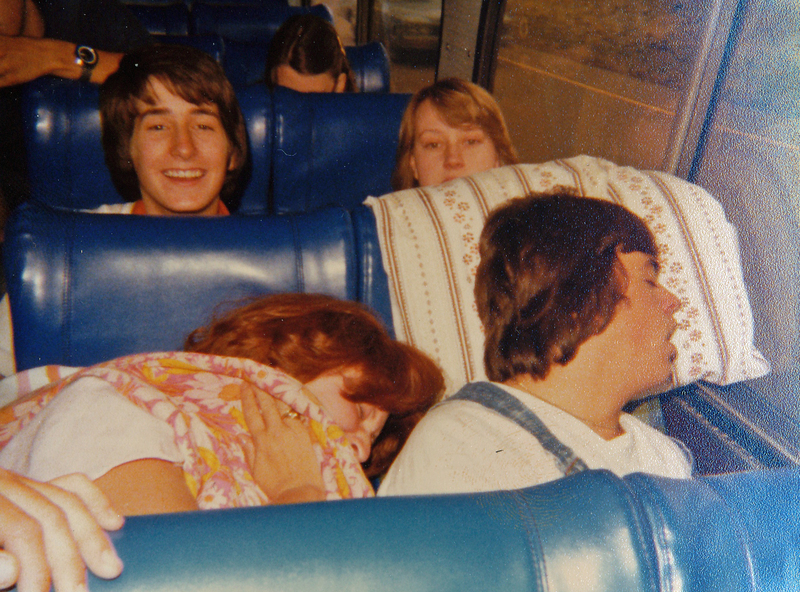 That's Ross in the top left - he came up for air long enough to be in the background of this picture of Roy Smith, who was snoring like a freight train! When we were seniors in high school, the tornado that ripped through Wichita Falls that spring destroyed much of Ross’ home. He lost a lot of things. But what he cried over most was losing his term theme for our English class. And the night we graduated from Rider High, we cried in each other’s arms. One of our last weekends together before we all graduated from college. From left, Christi, Brian, Ross and me. That's Robert and Carolyn blowing bubbles above us. An absolutely precious group of friends. Ross went to the University of Texas along with a couple of other friends from our class. This group of friends from high school that I hung out with decided to go down to Austin one weekend when we were college freshmen and we all stayed at one of the other guys’ apartments. We all slept in sleeping bags in the living room together, and the next morning Ross got up to go to Mass. We walked the whole way, him in his suit and tie. I, in a dress and heels. Peace be to you, we said. And also to you. Standing there in my classroom ten years ago today, watching the Today Show with my students, what had happened finally began to sink in, and my heart sank. Ross lived just blocks from the World Trade Center. He had moved there after we finished graduate school to work for Prudential as an investments analyst. 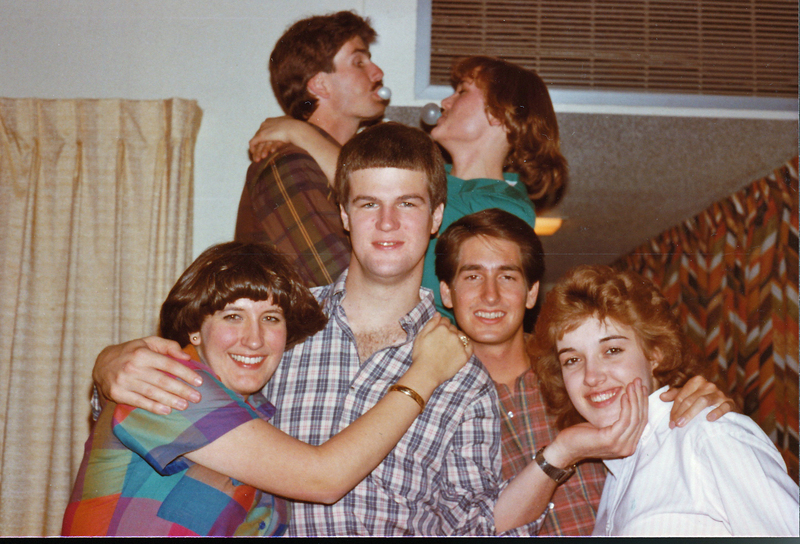 By our tenth high school reunion he had become the youngest vice president in the history of the company. Because, you see, he really was the smartest kid in the class. I tried calling him all day. But there was no answer. Until 11 o’clock that night. He picked up the phone and I could hear sirens and what sounded like muffled chaos from the other end. The conversation was unusually short, as though I had dozens of urgent calls to make that night. I just had one friend living in lower Manhattan on 9-11.